Rattan sofa sets There are 18 products. Providing a luxury 3 seater sofa with thick base and pillow back cushions along with two relaxing armchairs with chunky curved armrests and a large rectangular shaped glass topped coffee table, your friends or family can relax long into the evening. Then again have you thought of bringing a quirky twist to your decorations regarding the living space? You can definitely do that with the best designs offered by us. We here offer you beautiful Rattan sofa sets that will combine your garden space with the living room. We aim at building a comfortable reclining lounge in your open space. Does it intrigue you? Then read on to know what else we have on offer. There are so many options to make your garden area even more beautiful. This will give you the golden chance to make your space stand out among the rest of the properties. All you need to do is get in touch with us and state all your needs. 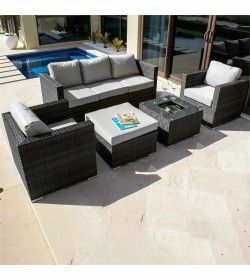 We at https://www.gardenfurniturespain.com/rattan-sofa-sets bring to you the most beautiful sets of furniture right at your doorstep. You will definitely be impressed by the designs and patterns that the designers have made to suit your beautiful spaces, both indoors and outdoors. 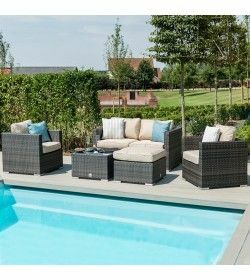 The garden rattan sofa set is the best way to combine your beautiful lush green lawns with the comfort of your lounge area where you can stay at peace and enjoy the outdoor beauty while reading a book or just enjoying with friends and family. The sofa sets that you look for usually come at high prices. But here we offer you the best designs but at the most reasonable prices. When you order a sofa set from us you can be assured of the highest quality of material which will last for a lifetime. 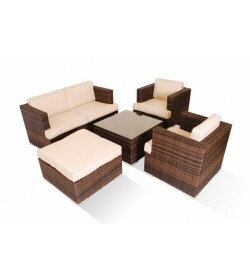 You can check out the rattan garden sofa set sale to get the set of your choice at attractive discounts. Get in touch with the professionals to know more!